Quite recently, pastors, especially those have their own churches, have become celebrities and one wonders whether they are really doing the work of God. In their bid to get more people trooping to their churches, they engage in various antics of their own to gain much popularity. One the runs through their actions is their posturing as 'miracle workers'. They claim to perform many 'huge miracles' including healing of the blind, filling bank accounts of poor people and even raising the dead. However, the manner in which they perform such miracles leaves much to be desired. 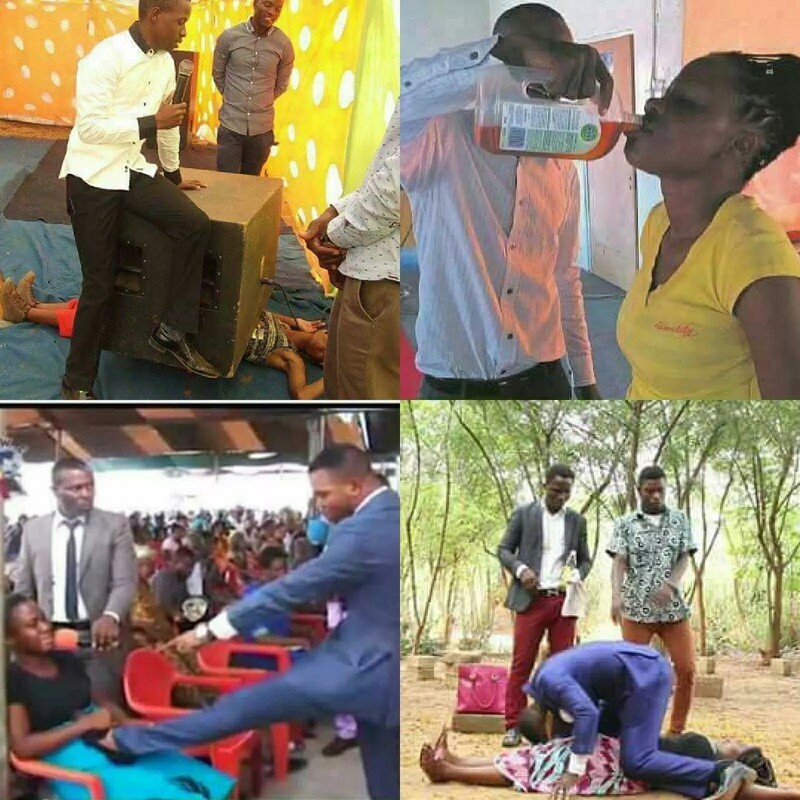 From the fondling of ladies, stepping on people, to giving them poisonous concoctions, they abuse their followers so much so that you may question where they get these so called directions from. YEN.com.gh has photos of some of these blatant abuses which have been disguised as 'directions from God'.